Makeup is something created to enhance our natural beauty. It makes us feel good and it can make you look good. I have my favourites when it comes to make up brands. I am picky. I like light makeup that doesn't cake or make my face look fake. I'm just trying to hide the crows feet and dark circles, not overdo a make over. Recently I saw some pictures via Facebook, my friend (and cousin) Stephanie was showing off her new business adventure and the products she has to offer as an independent presenter - Younique makeup products! Younique offers a variety of beauty products to help women feel beautiful, look beautiful, be beautiful inside and out. You can't buy Younique in a drug store but you can order it through a presenter. Presenters know everything about Younique products and can even help you start your own small business from the comfort of your own home or throw a virtual party and earn some makeup! Stephanie was kind enough to give me some fantastic unique products to try out for myself. After seeing the results she and clients of hers got just in pictures posted on her Younique Facebook page, I was very excited to try out this new makeup! No, they aren't false lashes. 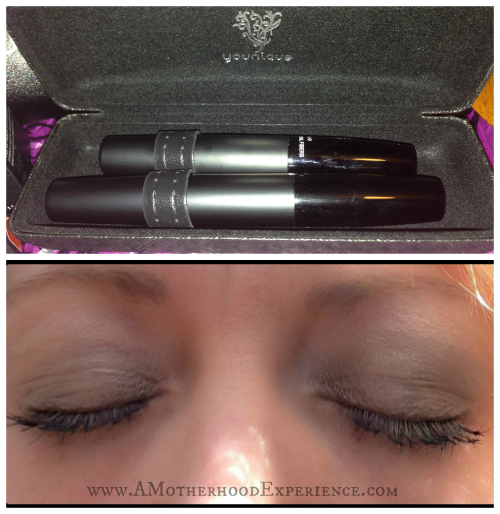 3D Fiber lashes are a 3-step process that helps create thickness and volume to your existing lashes. An extra something to give your eyes that extra something. First you put on a layer of your favourite mascara. Then the transplanting gel and add the 3D fibres next. Lastly, top it with another layer of transplanting gel and you're lashes are instantly transformed. The first time I used the 3D Fibre lashes I was wowed. I could see my lashes plumping up and looking fuller with each step. You can play with as much or as little fibres as you want for different looks. Less dramatic for the day and more lashie for that special occassion. Moodstruck minerals pigment shimmer (Angelic & Confident). Beautiful, shiny earth tones to bring out my brown eyes! These pigment powders are easy to apply and you don't need much to get a great look. Again, you can use as much or as little as you need for your look. You can also add some eye liner and brow liner to give your eyes extra pop. Moodstruck minerals Lucrative lip gloss is a very nice, light and non-greasy lip gloss. It goes on smooth and has a nice feel to it. Although I prefer longer-lasting type lip glosses and lip sticks, the Luxe lip gloss is a great choice to have as well. I know this particular line of cosmetics are a little bit into the higher price range but for special ocassions like a graduation, a birthday, holidays or a wedding, Younique 3D Fibre lashes make a great addition to your makeup routine. Plus, Younique makeup is mineral based and lasts a long time. They always say, you get what you pay for. It would be well worth the purchase in the longrun, just ask anyone else who's use Younique products! Click here to visit Stephanie's Younique website and check out what it's all about! Show some love and like Younique by Stephanie on Facebookpage (she will be drawing a winner from her Facebook fans for a Younique prize this July!) and follow @StephanieKingsb on Twitter! Posted by AME on behalf of Younique by Stephanie K. Complimentary product received for review purposes. 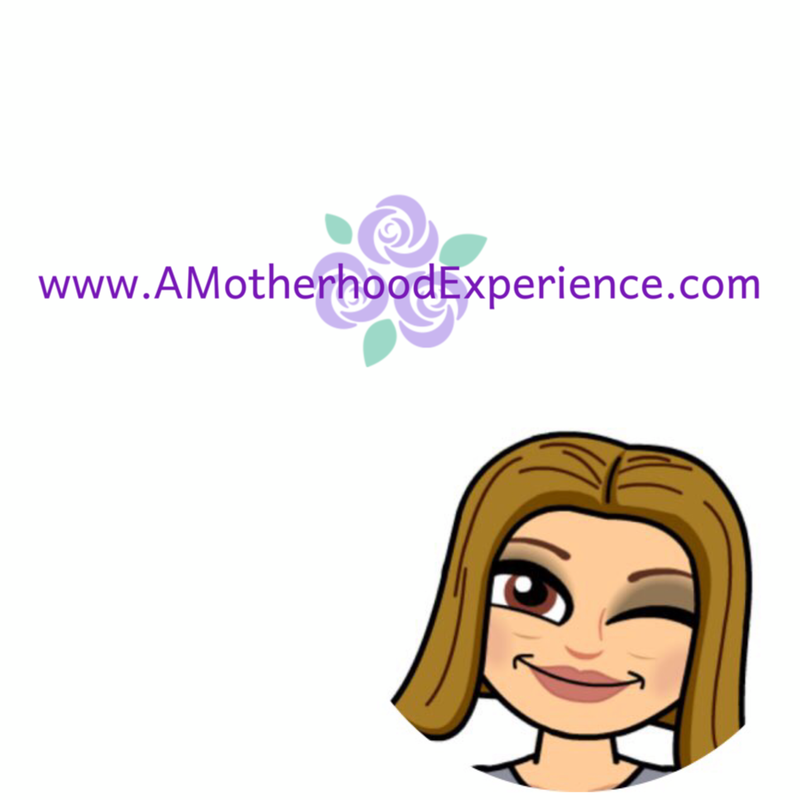 Opinions and comments on this blog are always honest and my own.